is a Middle Eastern Staple. 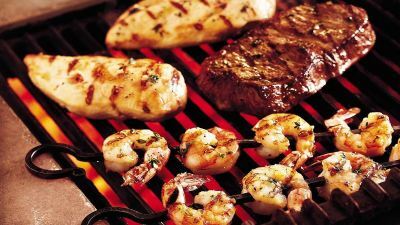 Normally made with dark meat; we at Sahara cafe have been making ours with All natural white meat. We stack 20 pounds of white meat and cook to a perfect golden brown. Simple yet Satisfying. This is where we let the meat speak for itself. Prime cut leg of lamb, hand cut and prepped fresh to order. Marinated in salt, pepper and olive oil. 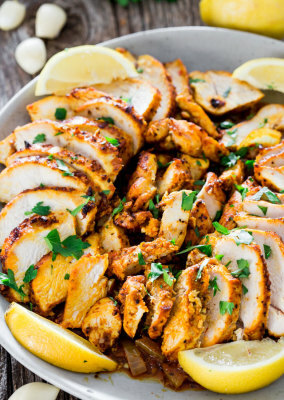 We stack and pile high all white meat chicken that has been marinated in Sahara cafe's 18 fresh ingredient recipe. We vertical rotisserie the chicken and shave with a knife and plate a generous amount on your dinner plate. 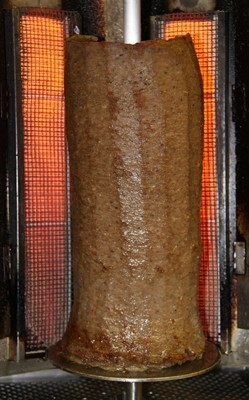 A lean blend of ground lamb and beef mixed together with Greek Spices and put on a vertical rotisserie spit and cooked to beautiful brown. 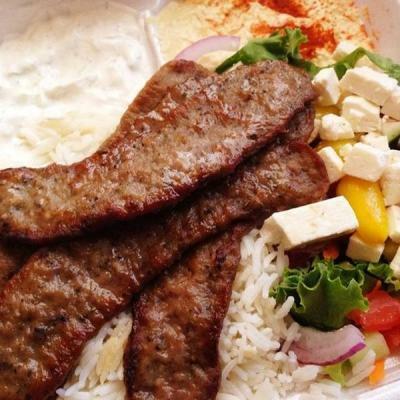 We shave the meat and Plate a generous amount for you to enjoy. This is where we take the best of both worlds and combine to make a great meal. We split the plate up with Chicken Shawarma and Gyro. 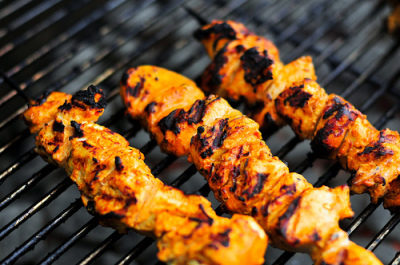 Chicken Breast cut thin, skewered and grilled to perfection. 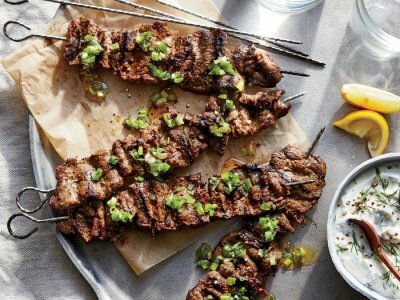 As we grill this wonderful meal, we constantly turn and baste with our delicious spiced yogurt marinade. Gyro (YEE-RO) short for Gyroscopic, To spin, is a staple in Greece. Wee make our with 60% lamb and 40% beef. all meat ground up and shaped in a larg 30 pound cone. We cook to crispy yet juicy brown and serve it however you like it. You can choose to substitute one or two of your sides for an additional fee.